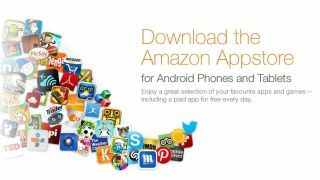 Amazon and Apple have been battling it out in court over Amazon's Appstore for Android for almost 19 months. Apple accused Amazon not just of trademark infringement for using the words "app" and "store" together, but also pointed the finger at the retailer for false advertising. On Wednesday, the case took a turn in Amazon's favor when the United States District Court dismissed Apple's claims of false advertising. In the ruling, Apple's claims were put to pasture as the court found "the mere use of 'Appstore'... cannot be construed as a representation that the nature, characteristics or quality of the Amazon Appstore is the same as that of the Apple App Store." This move came just three months after Amazon filed a request to have the false advertising claim thrown out, with the online retailer going so far as to cite Apple executives Steve Jobs and Tim Cook as part of its defense. Despite this minor setback in Apple's case against Amazon, this ruling will reportedly have no effect on the outcome of the ongoing trademark infringement suit. Apple has had a registered trademark for the App Store with the United States Patent and Trademark Office since 2008, and had requested Amazon cease using the Appstore name while it was still in development. Prior to Apple's litigation with Amazon, the Cupertino-based company engaged in similar legal maneuvering with Microsoft over the same terms. Microsoft's court proceedings with Apple were put on suspension pending the outcome of Amazon's case, which shows no sign of ending any time soon. Though Amazon was dealt a small victory here, the war is far from over, as there are still five more claims the court must deal with in regards to the alleged trademark issues. Apple is no stranger to lengthy legal battles, and it will be interesting to see just how this latest case progresses not just for Amazon, but for Microsoft's interests as well.